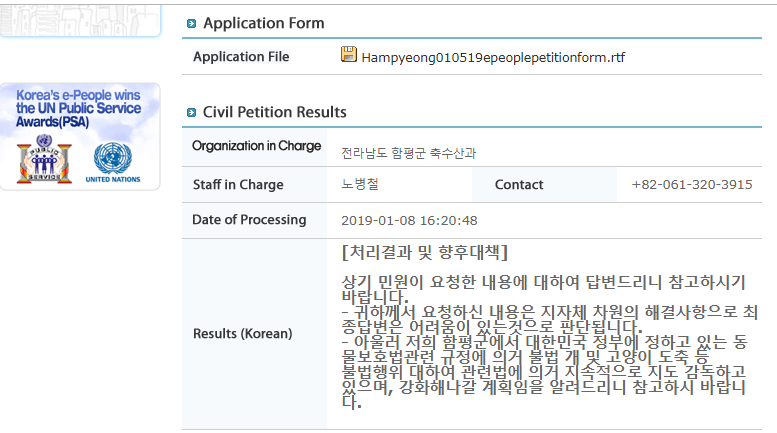 Below is Hampyeong’s response to our petition: Hampyeong, South Korea, Shut down the illegal dog meat farms, slaughterhouses and markets. They replied by stating that it was difficult to respond to the issue raised in our petition at the local government level. They continued, that with regard to illegal dog and cat slaughter, they are currently instructing/supervising in accordance with the provisions of the Animal Protection Act and that they plan to strengthen their efforts. 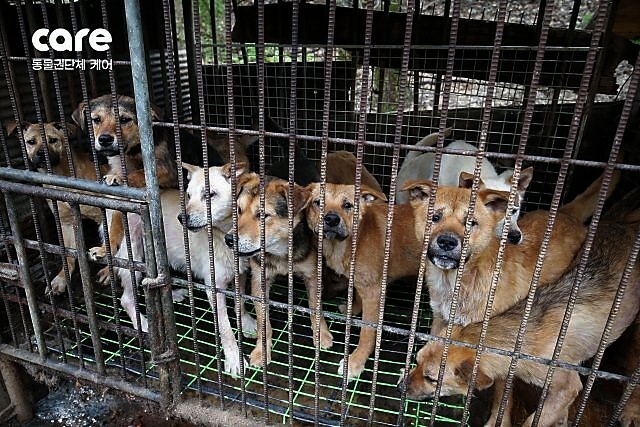 This is very vague and typical response from the Korean government, citing a lack of relevant laws for their failure to close down dog meat industry. This is inaccurate as well as shamefully indifference. Click HERE for the legal information by the Korea Animal Rights Advocates. Please stop the killing of dogs—- the world is changing, and you do not want your grandchildren to “look back” at your life with serious shame about this ………… i.e., you want your grandchildren to look back at the lives of their grandparents with pride!! We can all do this together to make a better world, where torturing humans and/or animals is a thing of the past!! All these local governments deny that they have the authority to stop this atrocity. Who does have the authority? “The question is not, can they reason? Nor, can they talk? But, can they suffer?” Jeremy Bentham, philosopher, 1748 – 1832. Social responsibility, ecological preservation and evolution of consciousness are the challenges of this age. It is evident that we have not yet fully evolved as a society when the unconscionable practices, cruelty and inhumane suffering of ALL afflicted animals (no matter what the reason), is still a reality in the 21st century. On the contrary, it’s despicable!